Léon & Louise by Alex Capus, translated by John Brownjohn, is a sweet story where a lot occurs without seeming to. It touches on both World Wars and follows a fairly typical plot of boy meets girl, boy loses girl, boy (now married with children) finds girl again eleven years later. The two go their separate ways and… well the “and” is what make up a good chunk of the story. “…like many families, we firmly believe that, although we’re nothing special, we’re unique notwithstanding. Louise takes a more unconventional path in life. She remains single, drives a fast sports car and works for the Bank of France. The author appears to be placing the tacit question – which life is the more fulfilling? – without expecting an answer. Capus’ has created two quirky characters and a narrator with an ironic sense of humor to tell their story. He more or less succeeds in building a convincing picture of the lives of normal people under the Vichy government in WWII. My criticism is that Capus’ doesn’t take his “quirky” sensibility far enough. I picked up this novel hoping to discover something along the lines of a Jean-Pierre Jeunet film. It never succeeds in becoming that. The German translator John Brownjohn also translates Walter Moers’ Zamonian fantasy novels which (as you might know) are favorites of mine. 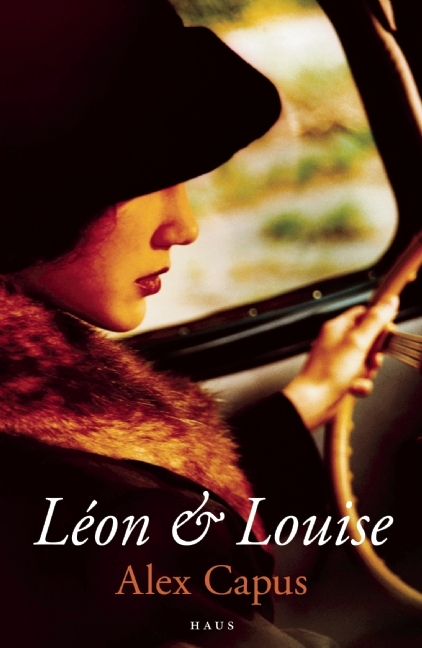 In fact, Brownjohn has translated more than 160 books and I wouldn’t be surprised if a good deal of the quirkiness of the language in Léon & Louise are attributable to him. He never seems to shy away from the odd – whether it be literary dinosaurs or French women stranded in the Congo. He is a master at understatement – achieving subtle effects using the minimum of words. I’d like to reiterate that I do not read or speak German. But I am familiar enough with this translator’s work to recognize his signature. (For more on John Brownjohn, follow the link to an interview with The Mad Hatter’s Bookshelf & Book Reviews blog). This is a quiet book which I, on the whole, enjoyed. But, it isn’t the type of novel that changes your life. Closing the covers a reader takes nothing away other than it is possible to live an ordinary, unassuming life even in extraordinary times. Perhaps Capus didn’t realize he was writing a tragedy.